Prof. Purba Rao recently published a Book “Business Analytics: an application focus”, with PHI Learning. In an interview Analytics India Magazine, Prof. Rao talks about her motivation to write this book. To know more about the book, click here. [dropcap style=”1″ size=”2″]AIM[/dropcap]Analytics India Magazine: How did you decide to write a book on Business Analytics? [dropcap style=”1″ size=”2″]PR[/dropcap]Purba Rao: For last twenty years or so I have been teaching analytical modeling in business decision making in different business schools to different audiences of MBA students. The students seemed to appreciate the topic and, what was very rewarding to me; they applied these approaches to their real life projects and got meaning results. They also realized that these approaches could be applied to virtually any business process… whether relating to a business with niche product, a commodity, a monopoly or competitive market. After graduating from the business school some of them would write back to me telling me that they were indeed applying these techniques in decision-making situations in their respective workplace. Now in all my teaching, whether I was teaching a course called Quantitative Analysis or Advanced Marketing Research, or Predictive Modeling I could not find a textbook that my students could use. So I taught basically from the class notes which I prepared after lots of research from journal papers, books on multivariate analysis internet and computer software manuals. These materials were quite technical and perhaps, not so user friendly to a heterogeneous audience that I saw in business schools. You see, in business school on one side you come across engineers, math majors, hard-core finance majors who follow any mathematical equation you write on the black board. However, on the other side you also come across humanities majors, literature graduates, human resource professionals and even medical practitioners. When I am teaching such a heterogeneous class I have to make sense to all of them and at the same time help them appreciate that what I am trying to teach, can very well be applied to their line of business. So, I taught my analytical modeling in the real life context, with the help of cases, which I wrote often, based on examples I read about in the projects that the students worked on and submitted to me. Also, in place of advanced mathematical modeling I used softwares… sometimes EXCEL, sometimes SPSS, Crystal Ball, Answer Tree and AMOS. Where softwares were concerned my students took huge interest and demonstrated great understanding. Sometimes I would just show them the basic steps and students would come up and tell me how to use the software better. In general my heterogeneous audience learnt my Analytics topics and applied them very well and felt great satisfaction. To give an example, I had a student in my Quantitative Analytics class who was a male nurse in a hospital before he joined the MBA class. He was terribly afraid that he would never pass my course. However, he did pass, used our class discussions and applied them to a decision-making scenario in his hospital setting. All along my teaching my objective was to make full sense to my students whom I was addressing. To achieve this I was majorly relying on my class notes along with a few reference books on basic statistics multivariate analysis, etc. Then a time came when I thought why not put all my class notes together, make it into a binder and make it available to the students. Around that time, one day, I was sitting in my office and the Marketing Director of a large Publishing House walked in and said he was looking for Business School Faculty to write books for them. I told him that I had no time to think ‘of writing a book just then but he said he would consider my class notes and model them to form a book. I said I would think about that idea. Later in the day I talked about this to my son who had just graduated from Wharton Business School and was totally knowledgeable with MBA education. He insisted that I work on the book writing project with the Publishing House and come up with a book which would bring the wonderful world of Business Analytics to my past, present and future students. That was 2008 when I remodeled my class notes to form a book that was called then “Predictive Modeling for Strategic Marketing”. Five years have passed since then and now I have come up with this new book “Business Analytics an application focus”. I consider this new book as a far more comprehensive description of the topics I have been discussing over the last five years. I am also very happy that I have been able to include many real life case studies which my students have worked on, as part of my Business Analytics” elective, describing how the analytical modeling applies so effectively in various managerial decision making situations. My effort will be worth the effort if the various audiences which the book addresses see value in reading it and gain significant understanding of how the complex analytical models can be applied so lucidly in business and managerial situations. AIM: How is this book different from other similar books in market today? 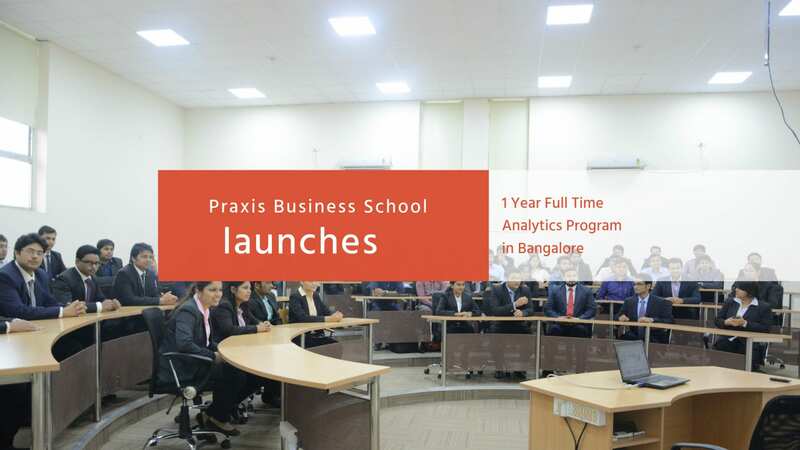 PR: There are no books on Business Analytics in the market that can be used as textbook in a course on Business Analytics. PR: I have always been a math major, having an undergrad degree in Math honors (Presidency College, Kolkata), Masters in Applied Math (Science College, University of Calcutta) and doctorate (Fellow in Management from IIMC) in Operations Research. So, when I taught, I always taught quantitative/analytics subjects. Even when I worked in BHEL and Railway Board I was given work pertaining to analytics. AIM: What do you suggest to new graduates aspiring to get into analytics space? PR: Ideally Graduates should have some kind of quantitative aptitude. However many students who have never had analytical aptitude, do get interested in the Analytics subjects later in their career. I think to get into Analytics space, people should read user friendly managerial journals and management books. Also attending conferences and seminars on Analytics would greatly help. 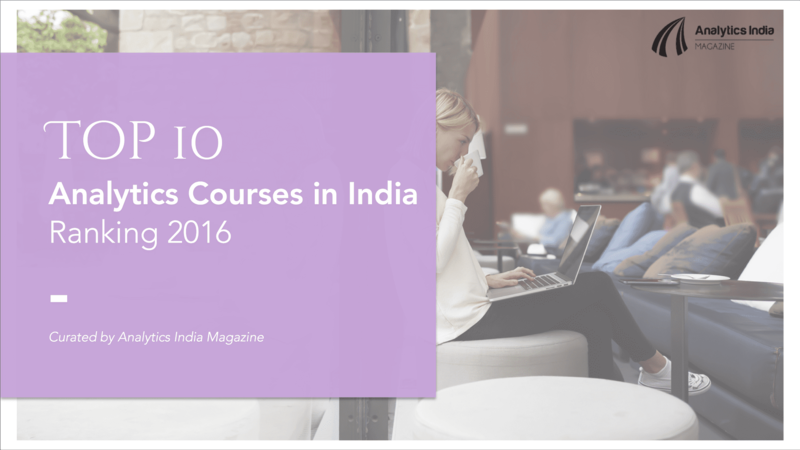 PR: The interest and awareness to Business Analytics have been quite a recent phenomenon in India. Even three or four years back it did not emerge as a field of study with high visibility. A few large companies such as GE and American Express had started widespread applications of modeling procedures falling under Business Analytics, applying them to the huge databases they had created. All the same, industry by and large, though they were waking up to the fact that they had started creating extensive business databases which could be perhaps harnessed to help optimal decision making, was not really thinking of an entirely new field managerial decision making based and rooted on quantitative modeling, which could be termed Business Analytics. What indeed was happening in our country was widespread use of computers and internet and was leading to what can be called an explosion of data. Outside of the internet – retailers, telecom companies, healthcare, airlines, hotels and even the sports industry were collecting and analyzing massive amounts of data. 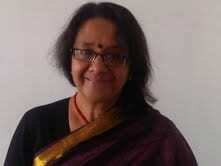 Dr. Purba Rao has been a Professor over the last 20 years teaching and conducting research on topics such as Predictive Modeling in Strategic Decision Making, Marketing Research, Business Analytics, Green Supply Chain Management, Corporate Environmental Management, and Social Entrepreneurship Management. She is a Fellow in Management from Indian Institute of Management Calcutta, has a M.Sc. in Applied Math from Science College, University of Calcutta and a B. Sc. In Math (honors) from Presidency College Calcutta. Thanks to Prof. Purba Rao for whom people like us are eager & interested to explore Analytic Industry though not possessing an analytic background. I seldom open FB, but this time I hit a jackpot. 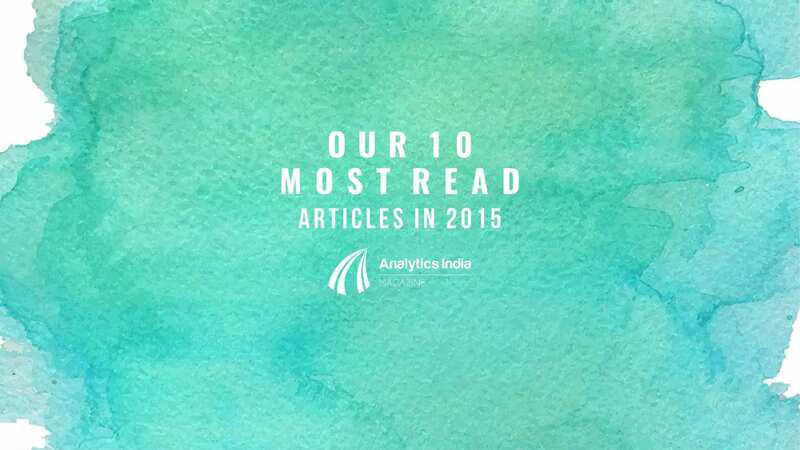 Such an interesting interview about my dear Purba and application focused Business Analytics. Kudos.